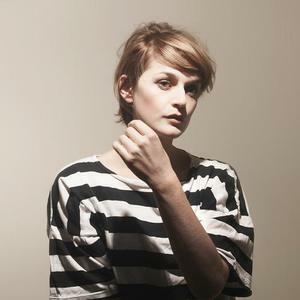 El Perro del Mar is the solo project of singer/songwriter Sarah Assbring from Gothenburg, Sweden. Her music could be described as melancholic lo-fi pop. From 2004 to late 2005, her records had only been released by the Swedish label, HYBRIS. But in 2006, Sarah experienced a host of new found success when her self-titled album El Perro del Mar was picked up by UK-based label, Memphis Industries, under which Dungen and The Go! Team also release. From 2004 to late 2005, her records had only been released by the Swedish label, HYBRIS. But in 2006, Sarah experienced a host of new found success when her self-titled album El Perro del Mar was picked up by UK-based label, Memphis Industries, under which Dungen and The Go! Team also release. Prior to the self-titled album, Sarah had recorded and released Look! It's El Perro del Mar! and the EP, You Gotta Give to Get, in Spring 2005 and November 2005 respectively.